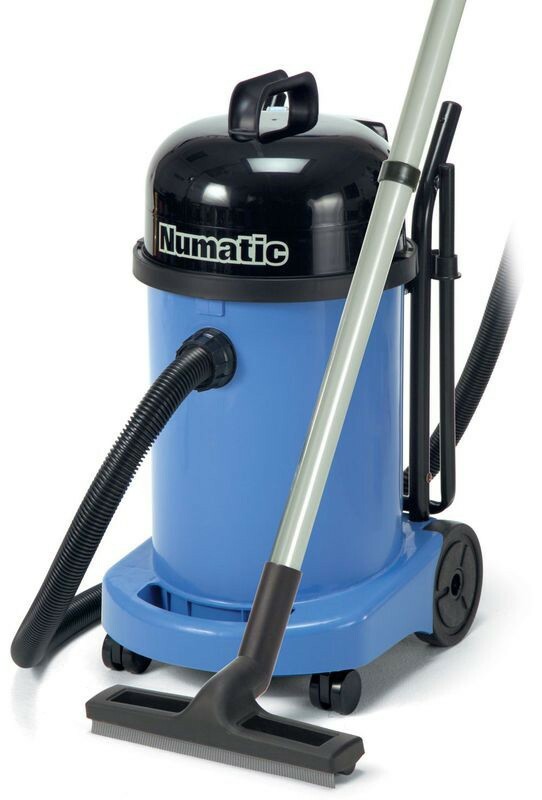 The Numatic WV470 Wet or Dry Vacuum Cleaner provides a larger alternative to the Numatic 370-380 series, with twice the capacity but performs to the same high performance standard be it wet or dry. Very important for professional use is that the user does not mix both the functions of wet and dry operation otherwise the result can be a container full of almost mud which becomes very difficult to empty and will be detrimental to the machine's overall performance. All machines are wet or dry and the change from one to the other is designed to be simplicity itself exchanging a dry filter for wet safety float valve and a change of floor nozzle, or vice versa. Although twice the capacity Numatic have added a folding handle design allowing easy movement when in use whilst also allowing compact storage. 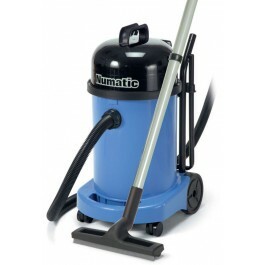 Ideal for use by contract cleaners, facility managers, caretakers and janitors. The AA12 universal combo kit is included with the vacuum, this includes..
601101 - 2.4m Nuflex Threaded Vacuum Hose. 601132 - NBP 300mm Dry Brush Nozzle. 601271 - NWP 300mm Wet Pick Up Nozzle. 601024 - Aluminium Extension Tube x2. 601025 - Aluminium Tube Bend with Volume Control.